There are four broad categories of fake news, according to media professor Melissa Zimdars of Merrimack College. Zimdars continues to refine and add to this list via the project OpenSources.
" 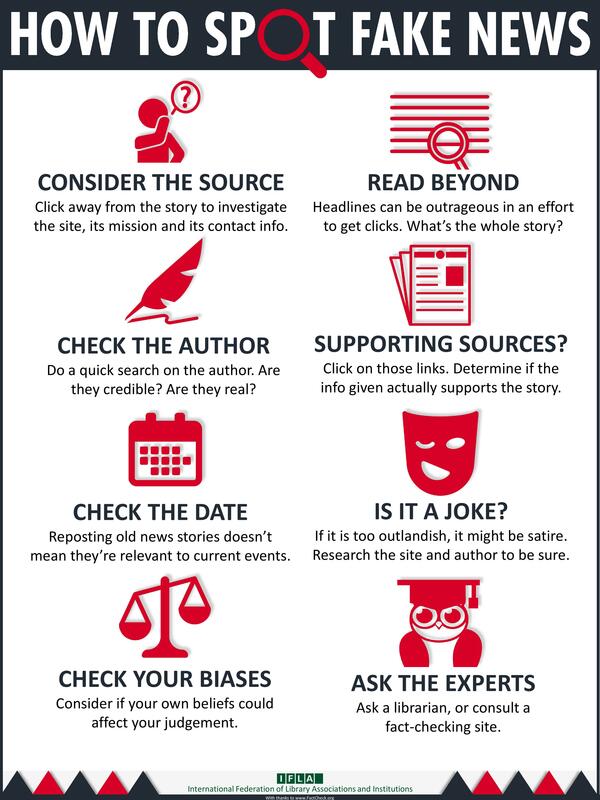 IFLA has made this infographic with eight simple steps (based on FactCheck.org’s 2016 article How to Spot Fake News) to discover the verifiability of a given news-piece in front of you." The infographic is published under CC BY 4.0. 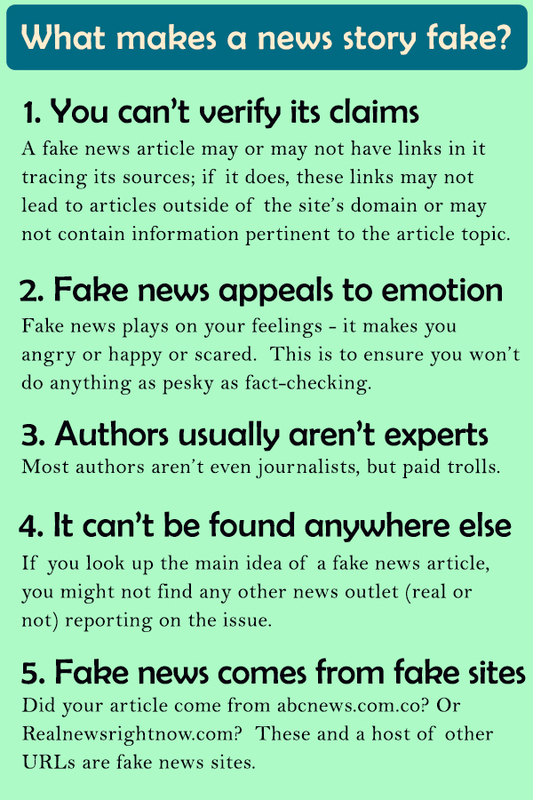 Thanks to KT Lowe, librarian at Indiana University East, for creating the original guide of which this one is based and to Diane Shepelwich at University of Texas Arlington for the page she added on News Literacy. This work is licensed under a Creative Commons Attribution-NonCommercial 4.0 International License. Please feel free to share this guide with others. If you are a librarian, you are welcome to use this guide and its contents for your own purposes.